The London-based music production duo AUDI0comingS00N release their second EP, Levitate, a three-track record in collaboration with music producer Jamari. With a solid background in modelling and fashion, Emmanuel Lawal and Ashton Gohil tap into the aesthetics and moods of the fashion world, as they explore and experiment with sound. Elena Stanciu: You share a background in modelling, with significant work in the fashion world – how did you start making music? What brought you together? Emmanuel: Modelling introduced us to each other and music brought us together. We shared apartments in Milan and Paris during the early fashion weeks. The parties we'd blag our way into were crazy, out of this world crazy: people strapped to jetpacks. Our favourite artists were performing right by our sides. Moments like those made us want to get closer to the action. We have both been into music since we were very young, picking up instruments here and there. I'd say we both just thought it was the right time to dive in and start producing, after building up the courage for so long. ES: Would you say your experience in fashion has inspired your sound and style? Do you find yourself tapping into the aesthetics and mood of fashion when writing music? Ashton: The journey of being a model has influenced us 100 percent. We have stayed connected with brands we have previously worked with through modelling, which has opened doors which allow us to work with them on a production/music level too. Fashion has always had a huge impact on us. It moulded our aesthetic and impacted what you see when you look at AUDI0comingS00N. Emmanuel: Most definitely. Every track has a narrative behind it. Some are our own experiences, others a figment of our imagination. Fashion helps us think outside the box when it comes to sound. The best ways to describe things are mostly through textures and sounds, that's why fashion and music go hand in hand. ES: Your music is gaining momentum lately – how would you describe your artistic evolution so far? ﻿Emmanuel: Always work in progress. Ashton: I think we are still finding our way, like any new artist. It's about creating a fan base and running with it. We still explore new sounds and love working with new artists, engineers and producers. It's refreshing. 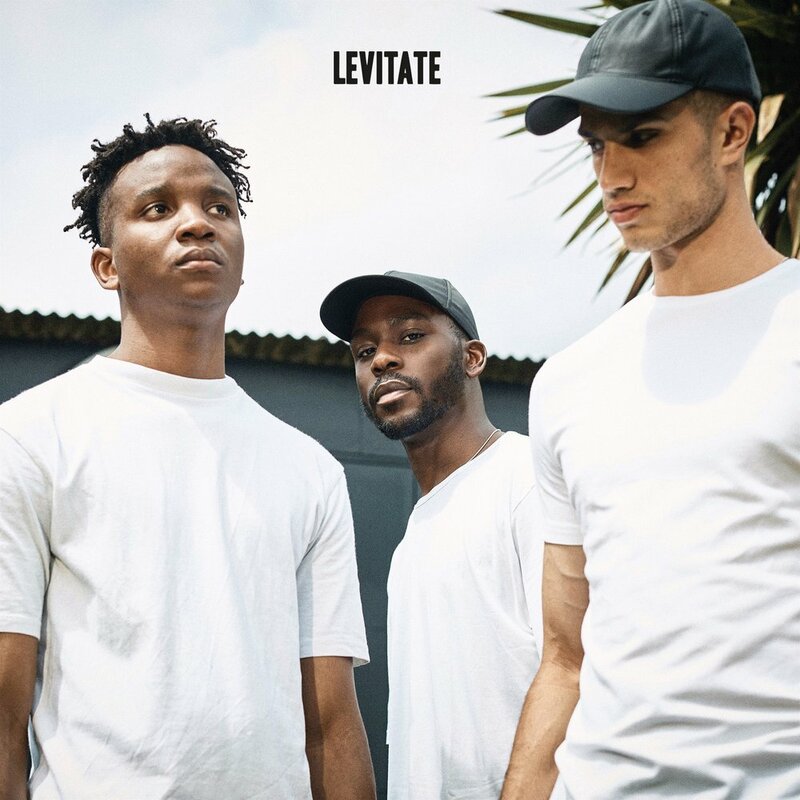 ES: Levitate – your second EP – is out now, just a few months after your debut record. What can you tell us about working on it? Ashton: It all came from a DM on Instagram: a talented young producer, Jamari, hit us up. We aimed for a collaborative single with him which led to a three-track EP. It's a different sound to Us Against Ourselves; Levitate has a more summery feel to it. Emmanuel: Working on Levitate was a lot of fun. It was like hanging out with your two mates in the studio and in between laughs, you'd play the keys or punch in bass NI. ES: What role does the new EP have in your creative process? What was your inspiration for it? Ashton: We wanted to create what sounds and feels like summer in London to us. Rain, sunshine, and more rain. This three-track mini EP starts moody, gradually gets into a groove and then finally ends on a sunnier note. ES: You've once described your style as very cinematic and always telling a story – what´s the story on Levitate? Emmanuel: Levitate is all about moving around the city, the mornings, the evenings. Every track has a completely different vibe to it. It's summer, but it's not always sunny. It's a Friday, but it feels like a Sunday. Everything is what you make it. Ashton: The EP still taps into the cinematic side of us – I think every track from AUDI0comingS00N will always have an element of that. There are no features or vocals on any of the tracks on this project. We like when listeners have a different interpretation of our tracks. Levitate is a journey and it's out now. Enjoy!